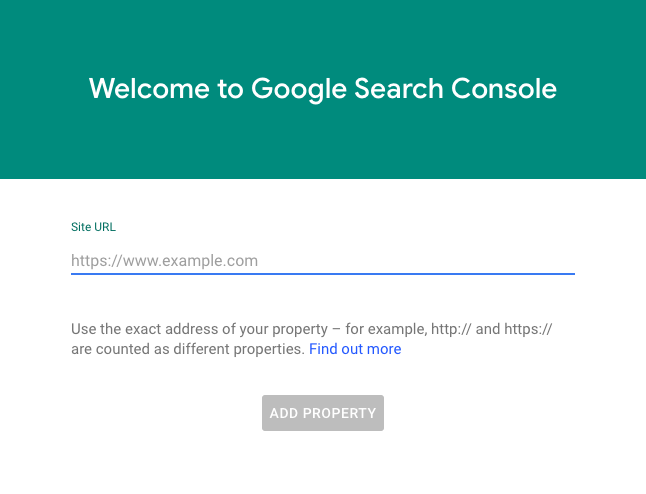 This #howto goes over the methods you can use to verify domain ownership for Google Search Console, while using Discourse. Create a TXT DNS record - this is your best option! Add HTML Tag - only use this method if you don’t have DNS access, or can’t get a TXT DNS record to work. 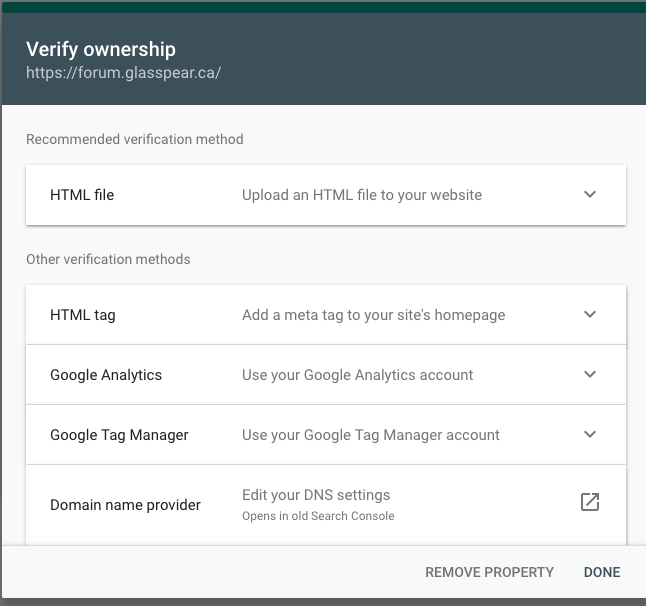 GSC will attempt to verify your ownership of the domain, which should fail. You will then be presented with a list of ways to verify your ownership. Note: currently this takes you to the old GSC console, so it looks different. In the list of domain registrars, find your DNS provider. If it isn’t listed, select other. If your registrar was listed, follow the directions Google provides. Make sure the hostname (or name) you use is the sub-domain of your forum or * if it is on your root domain, and the value should be pasted exactly as GSC provided it. Your domain should now be verified. In the </head> section, paste the HTML tag generated by GSC Verification Wizard, then Save this change.